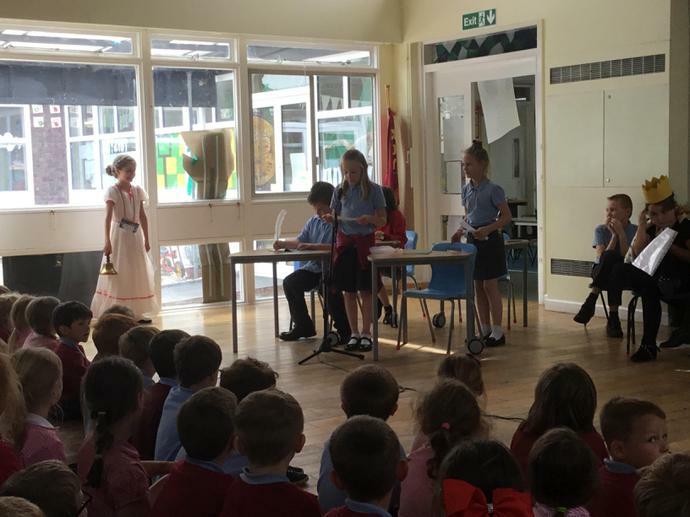 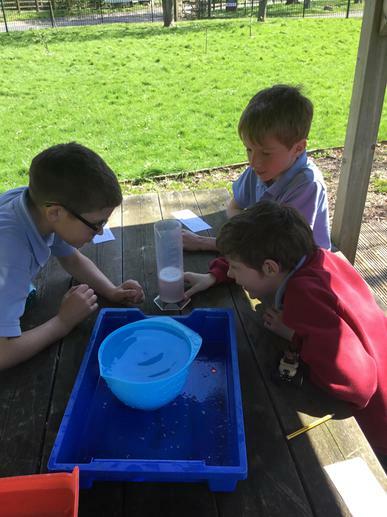 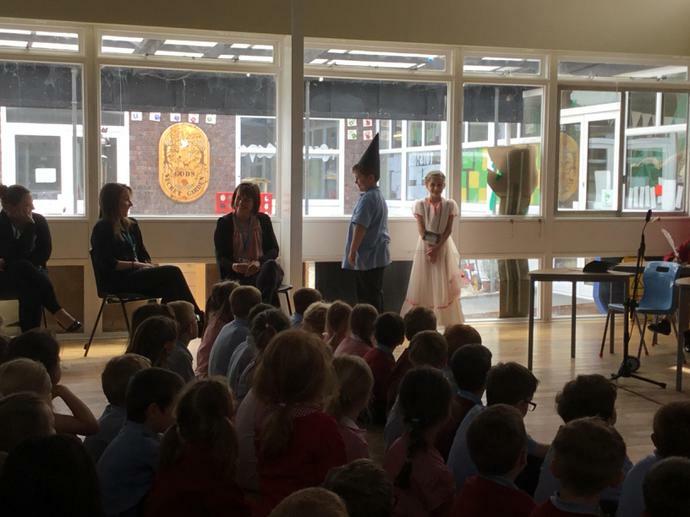 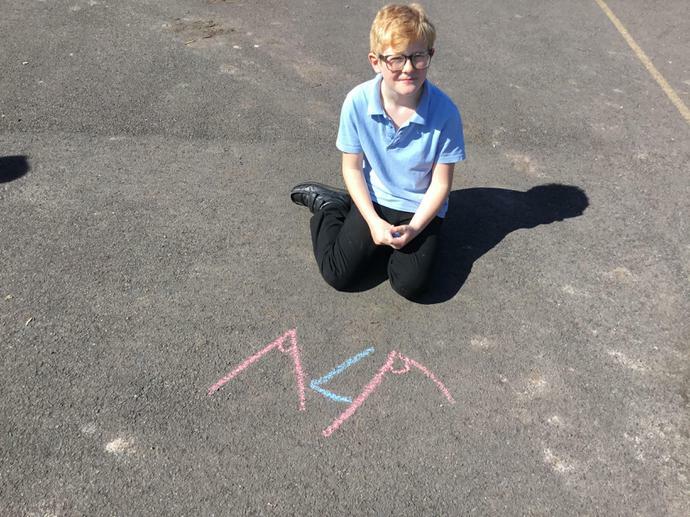 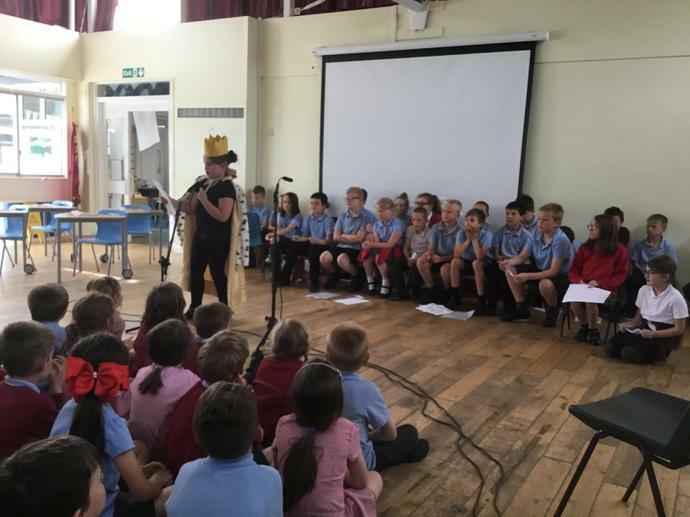 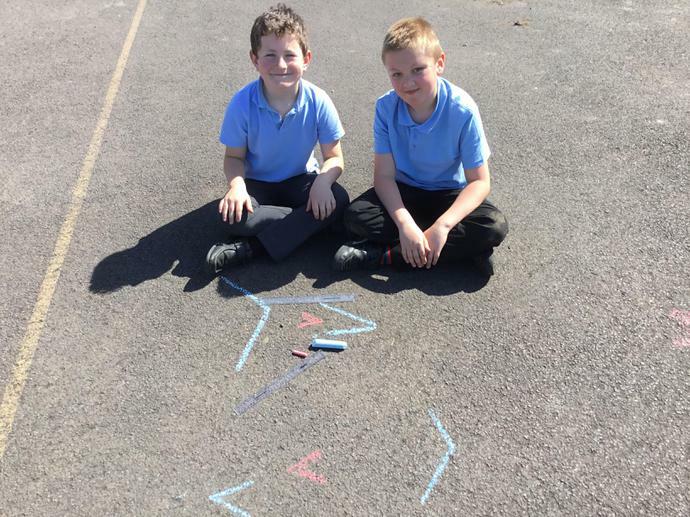 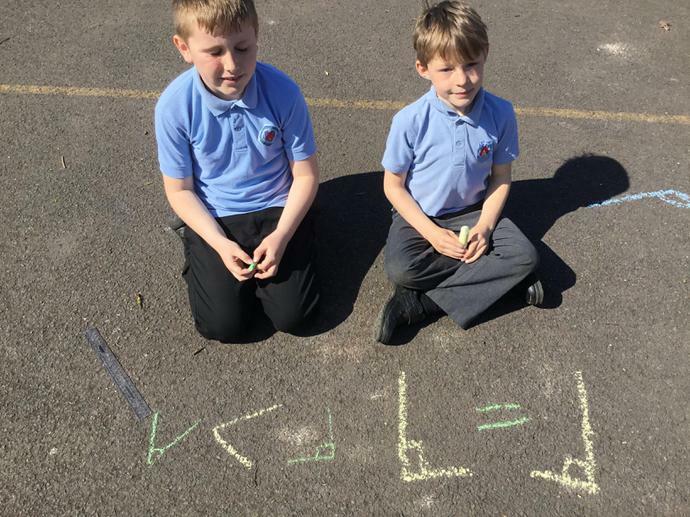 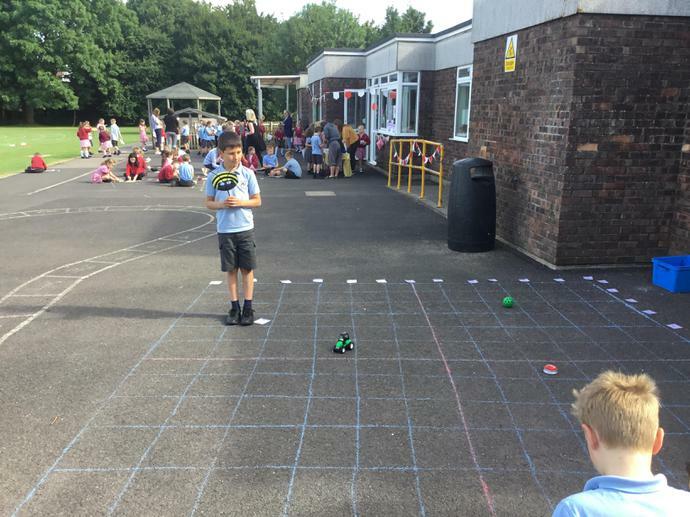 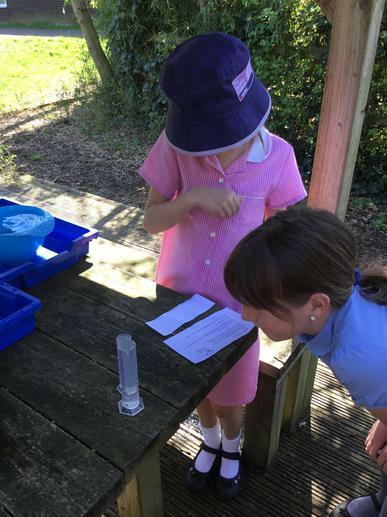 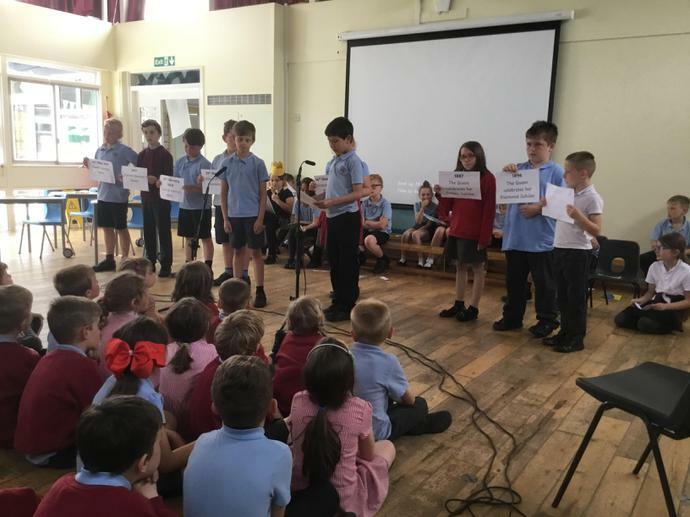 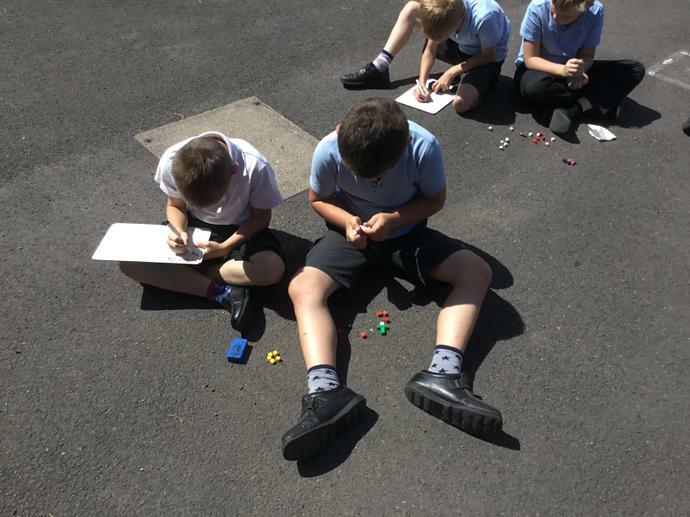 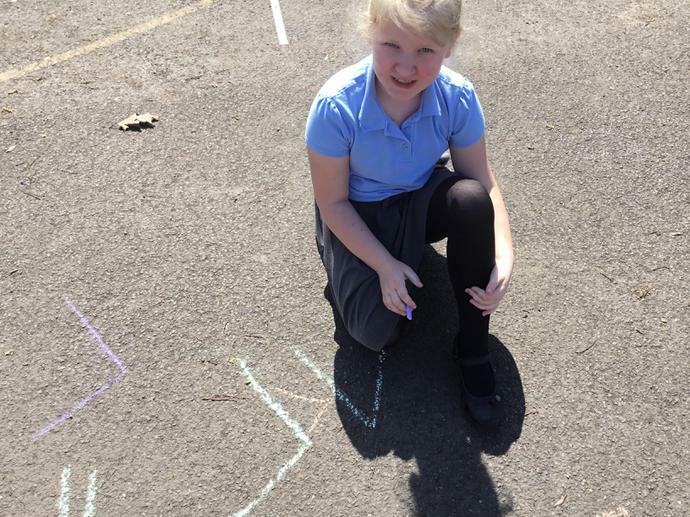 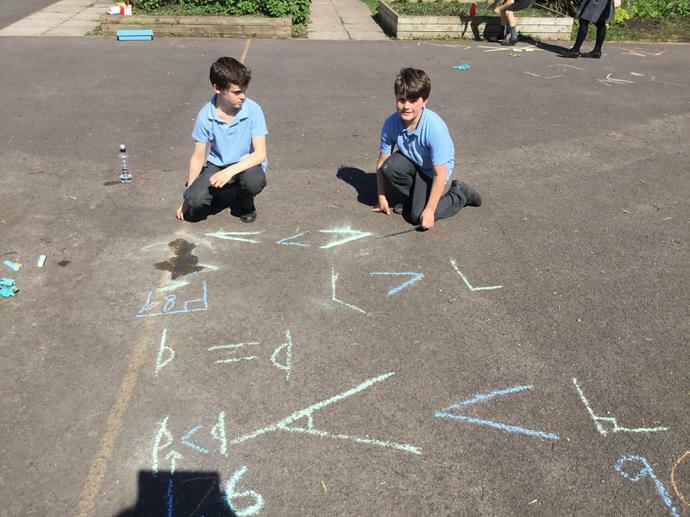 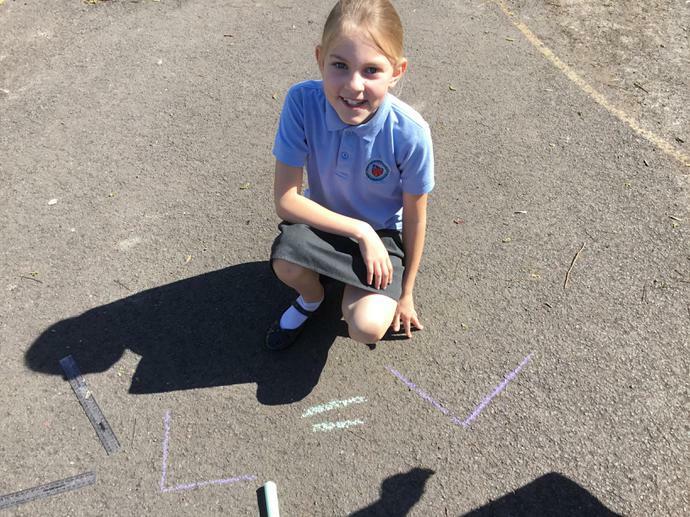 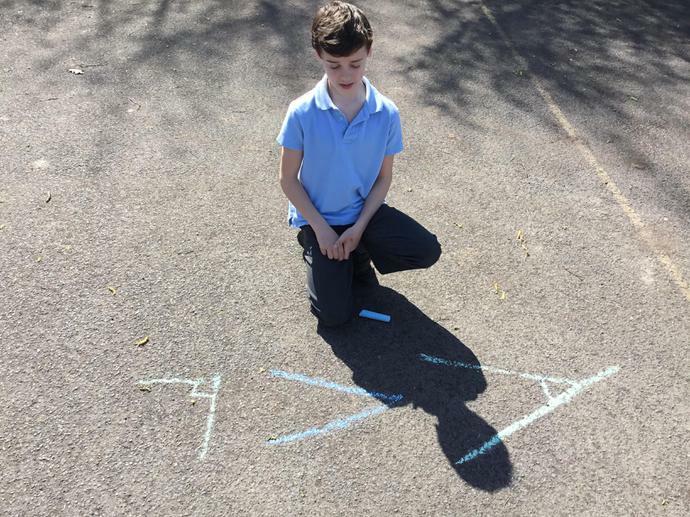 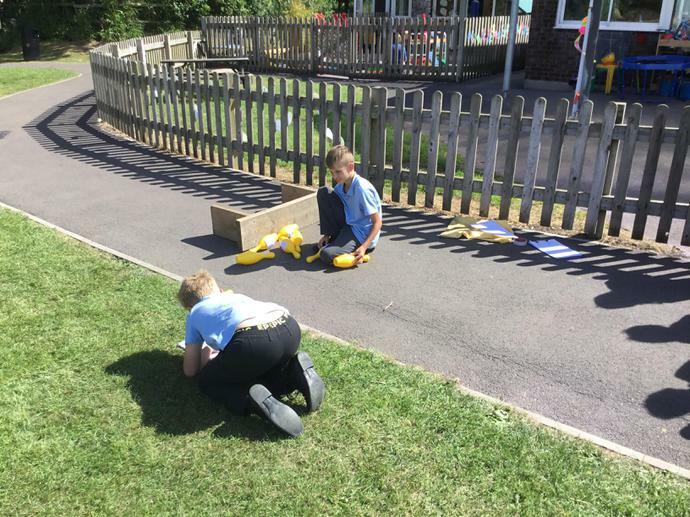 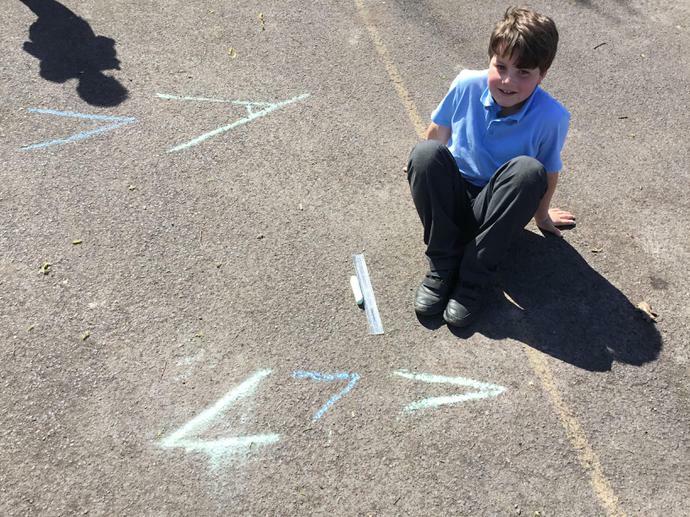 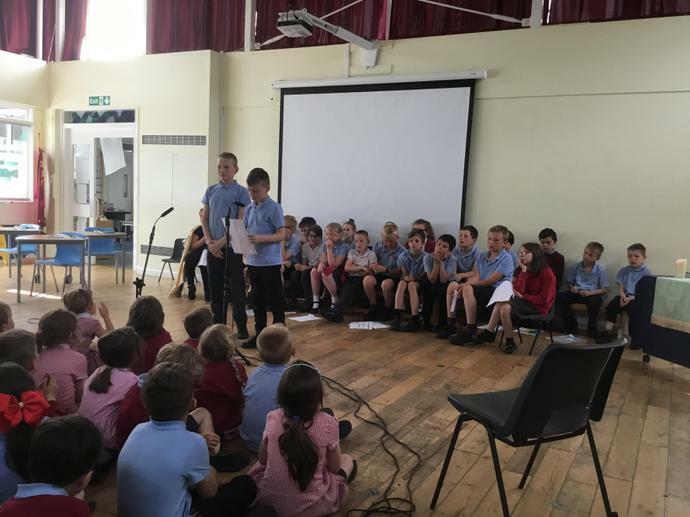 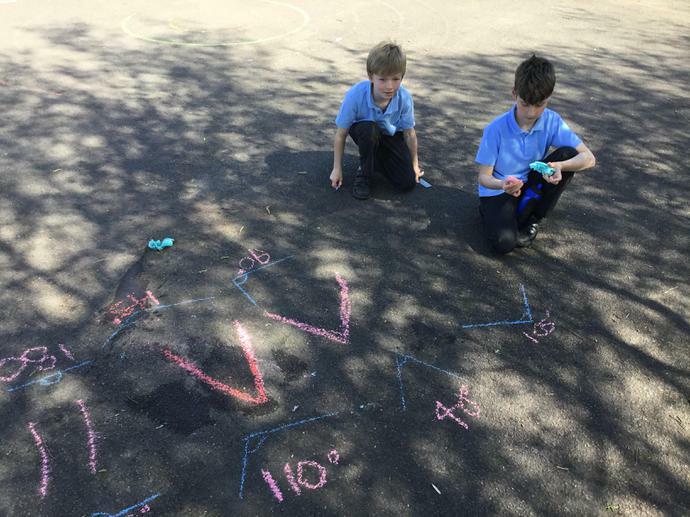 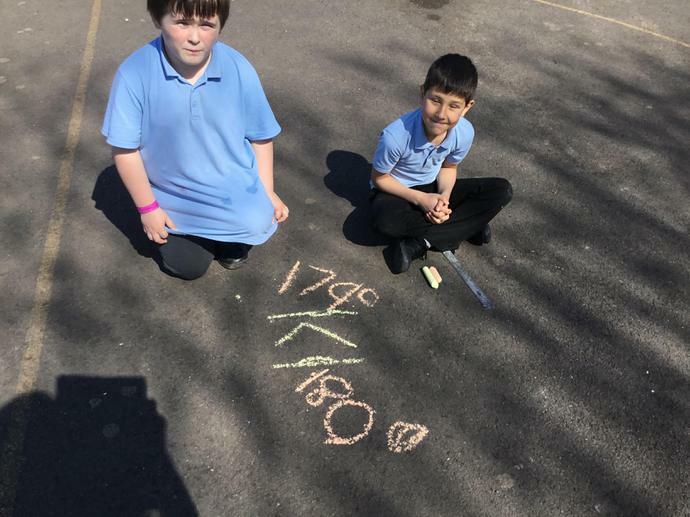 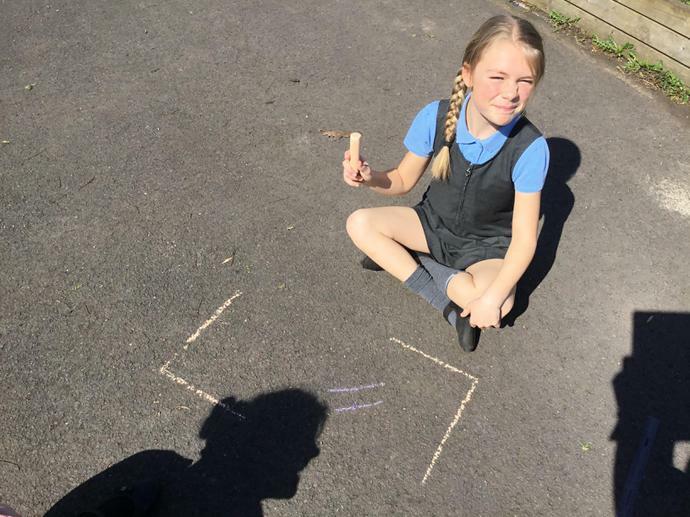 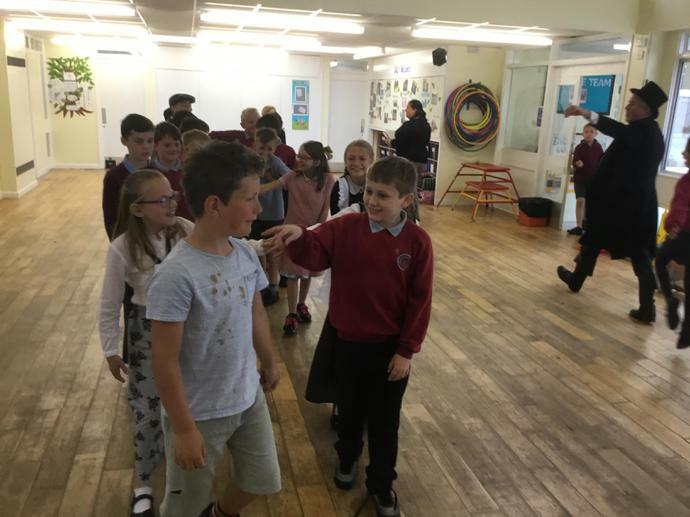 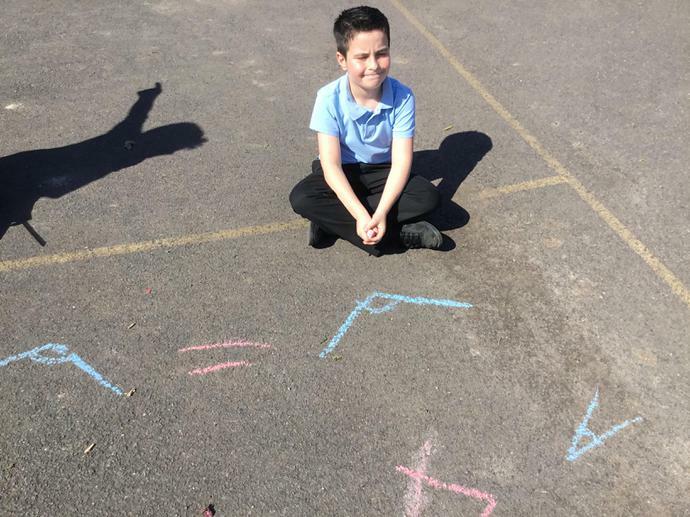 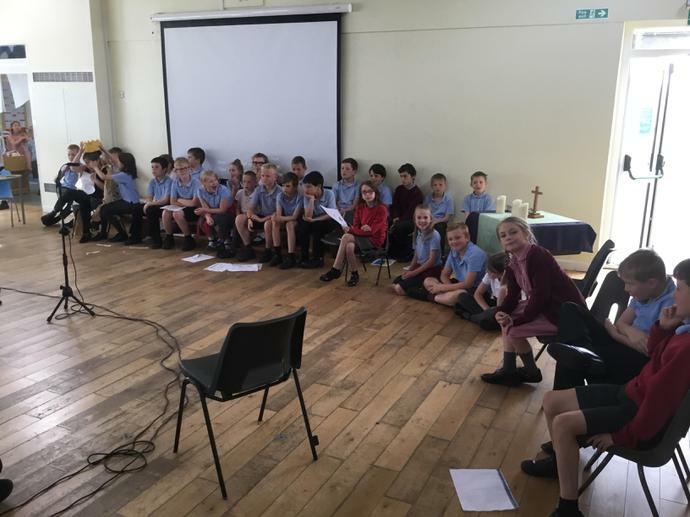 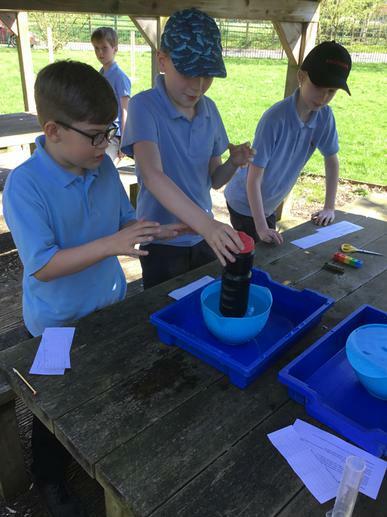 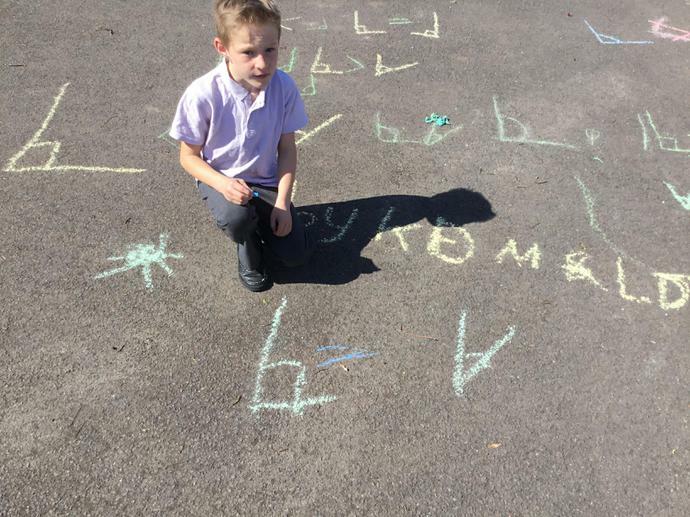 Children in Kingfisher Class enjoyed taking part in a Maths Fest alongside the rest of the school and other North Somerset Schools in the Bath and Wells Multi-Academy Trust. 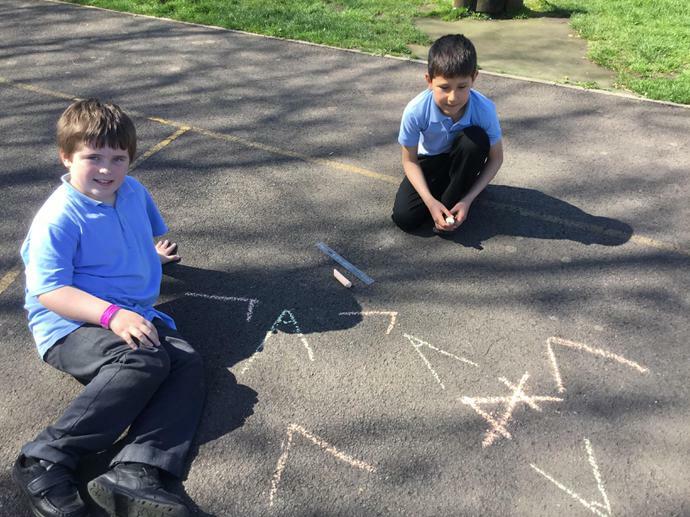 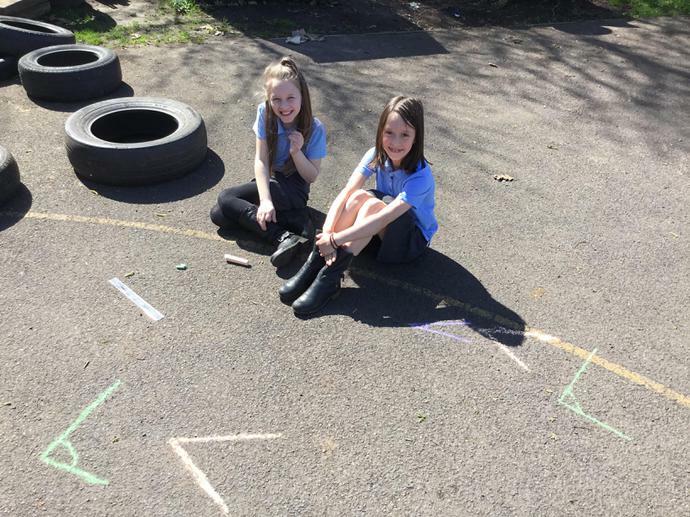 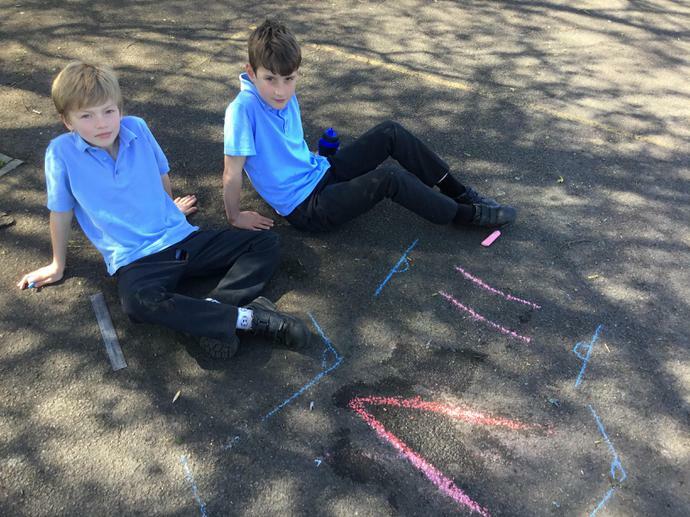 They spent the morning working together on lots of different Maths activities, having fun and improving their Maths skills. 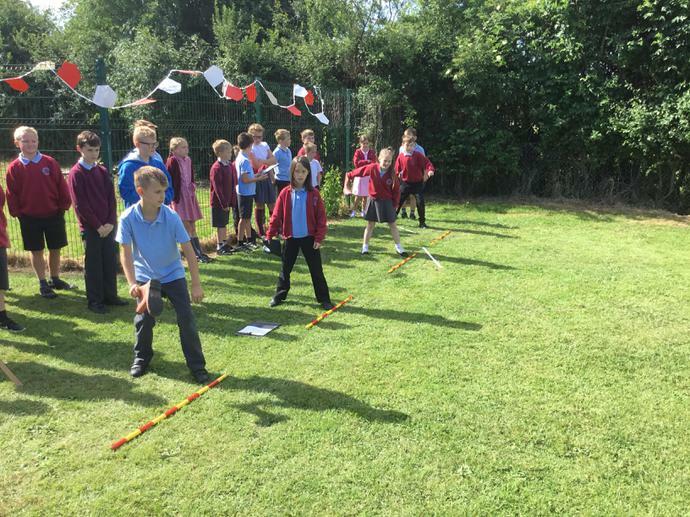 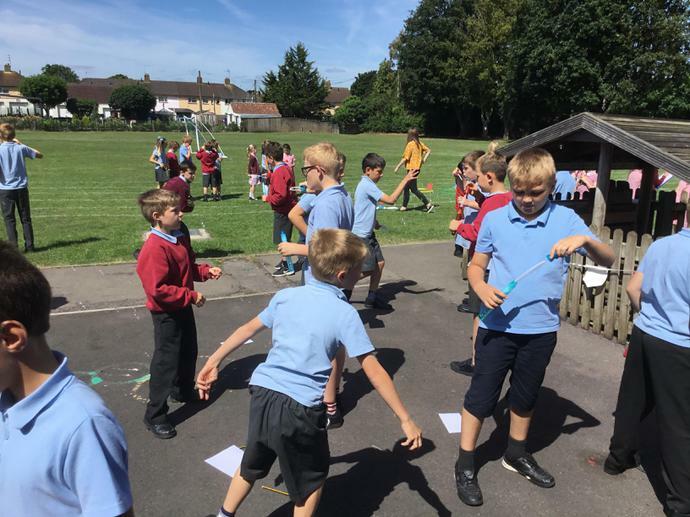 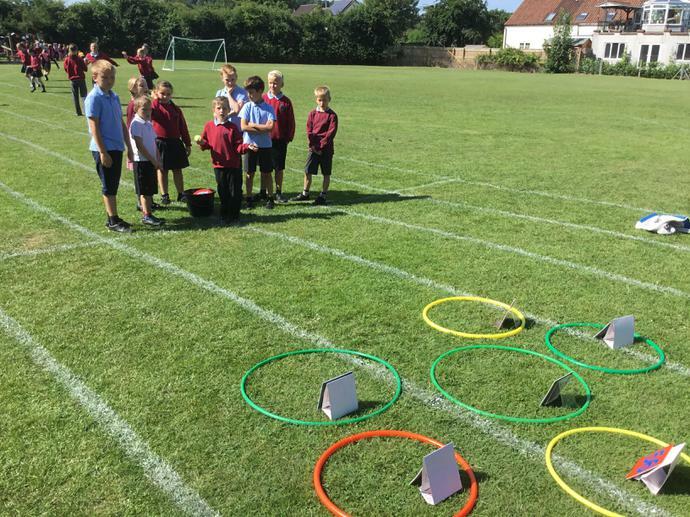 Here are some of the activities they took part in...Human Beebot, Welly Wanging, Target Toss, Pick and Mix counting, Pop the Bubble. 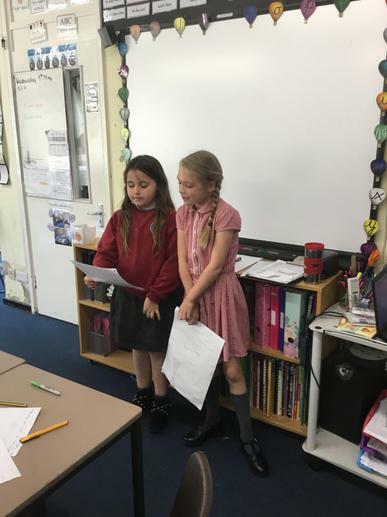 In Years 4 and 5 we have been learning about persuasive writing. 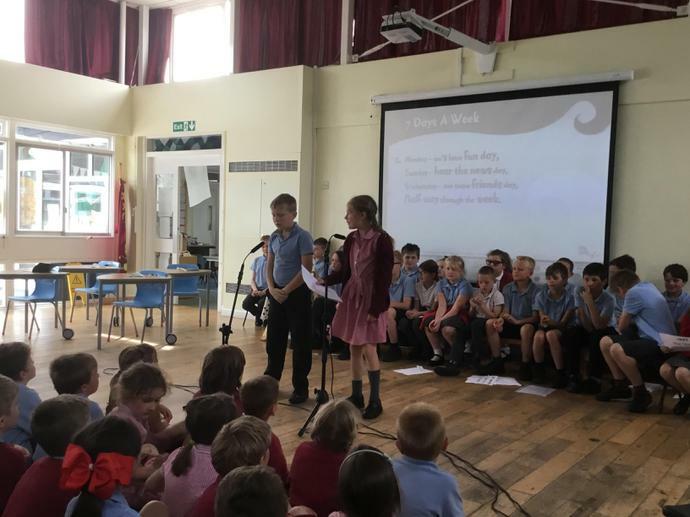 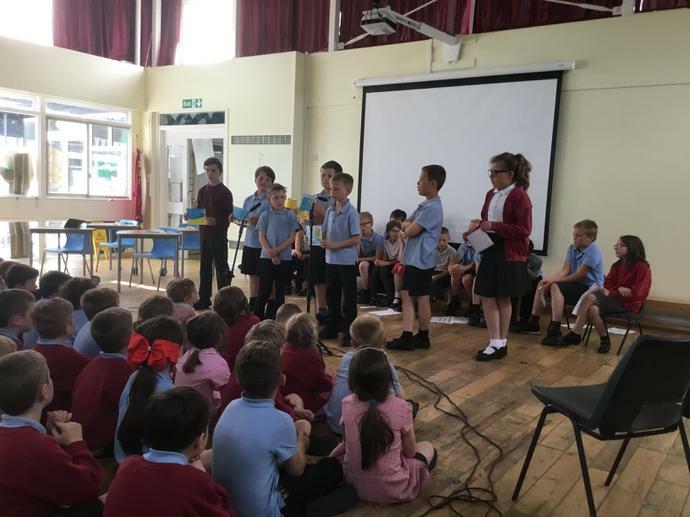 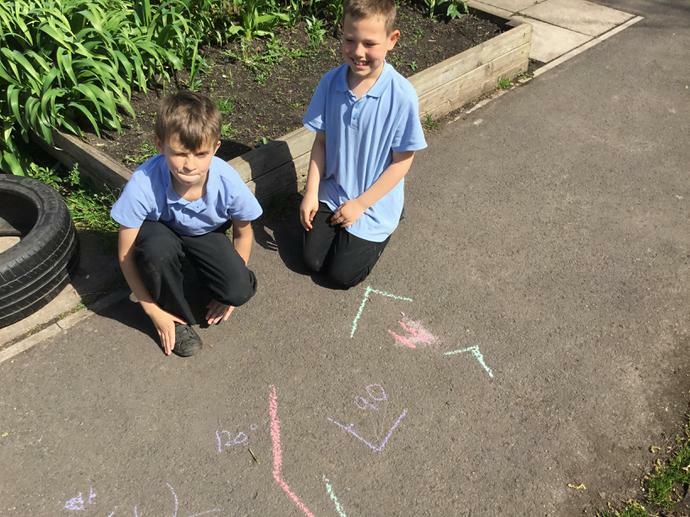 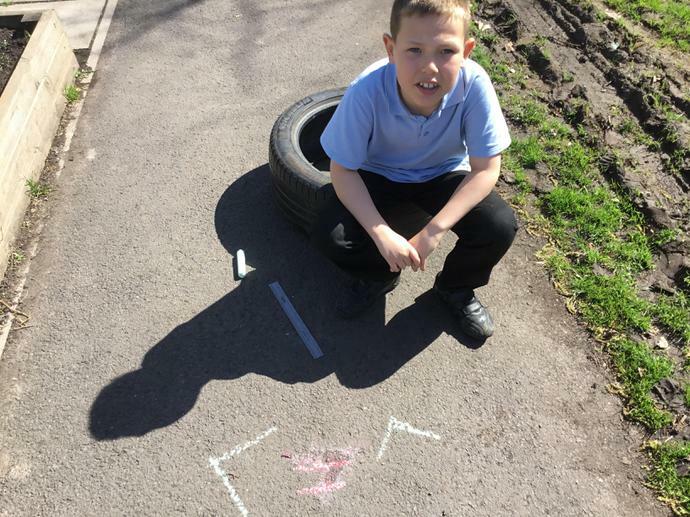 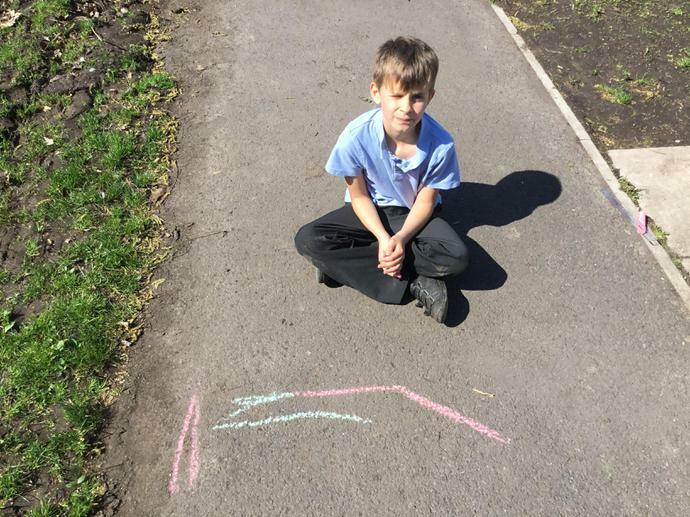 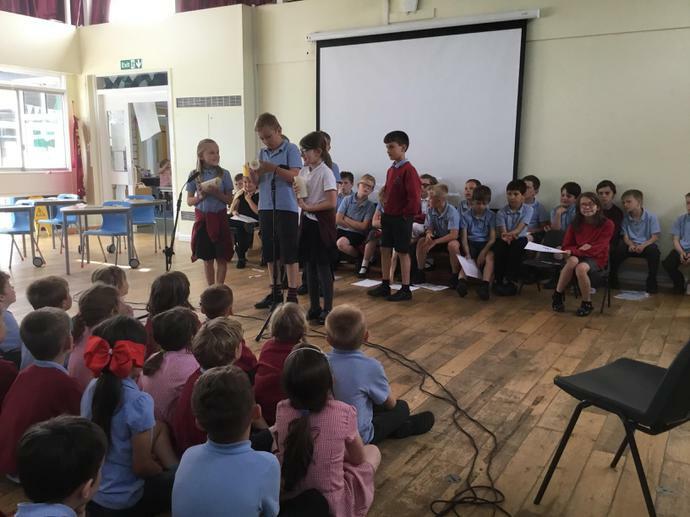 We have explored the key features of persuasive writing and enjoyed writing some articles to persuade people to take better care of the environment, for example stopping river pollution. 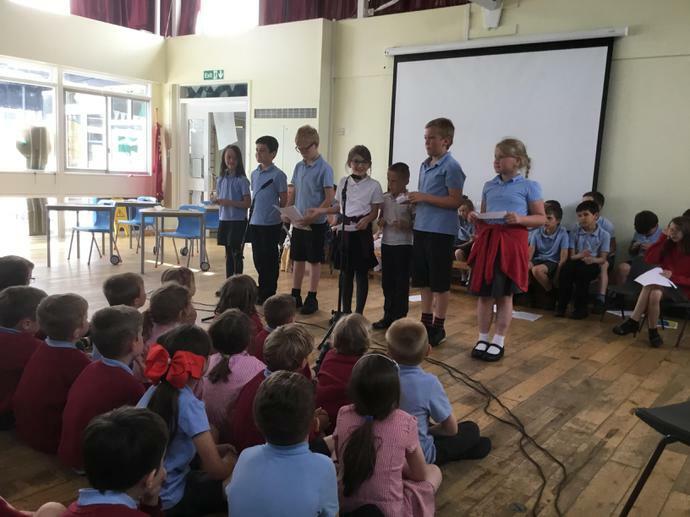 We have also written persuasive letters to Miss Knight and Mrs Thomson to persuade them to make some changes in school, for example no homework or having a school dog. 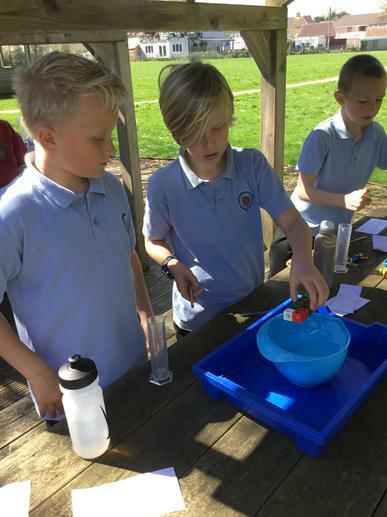 As part of our work on persuasive writing, Year 4s worked with Mrs Higgins to prepare an advertising campaign for spring water. 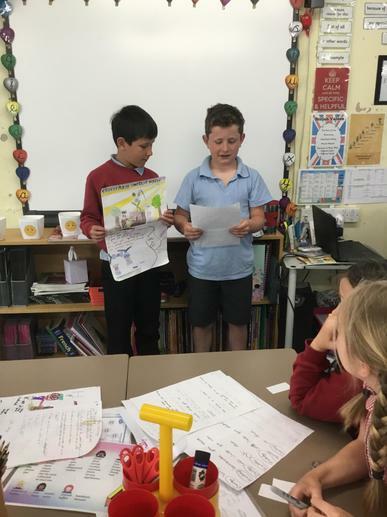 They had to come up with a persuasive poster and a radio advert and had a great time being as persuasive as possible! 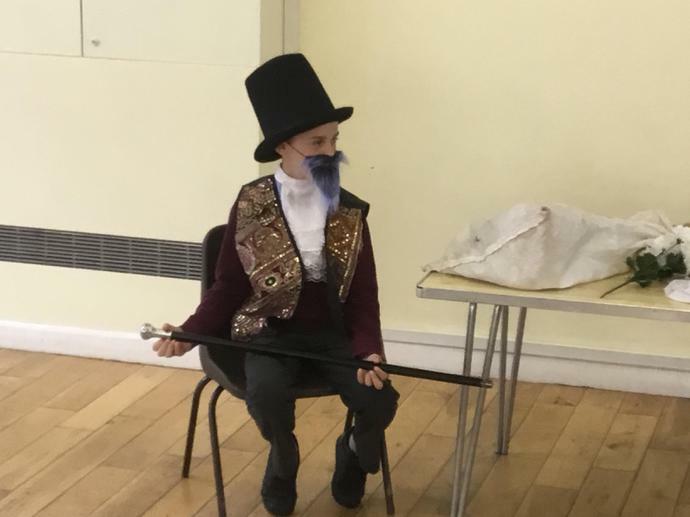 Theme: We are not amused! 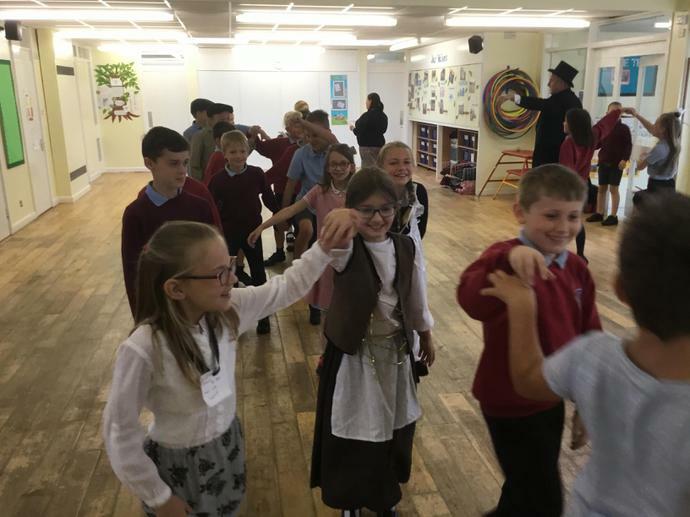 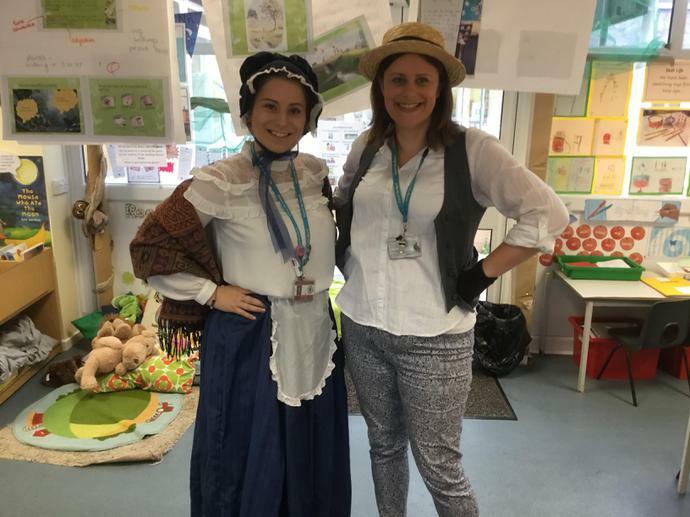 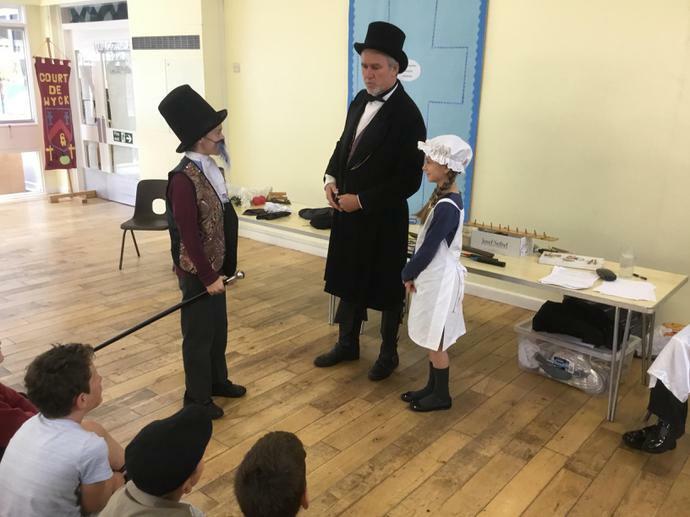 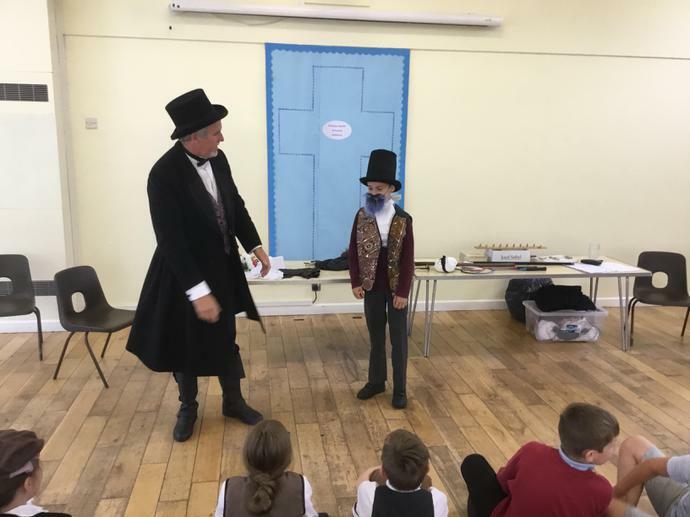 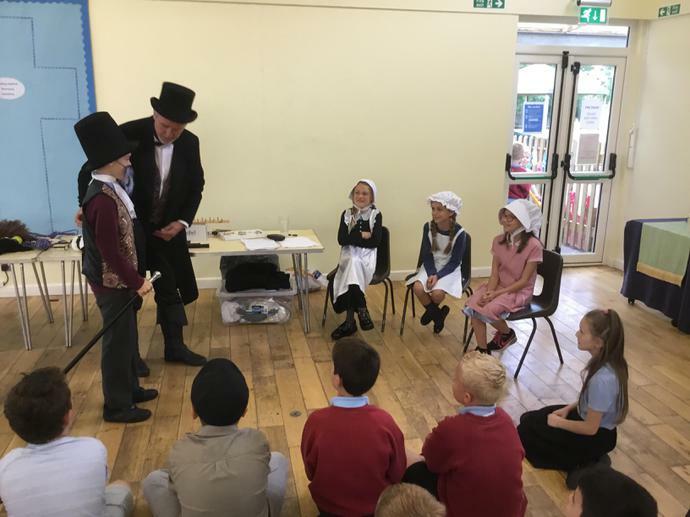 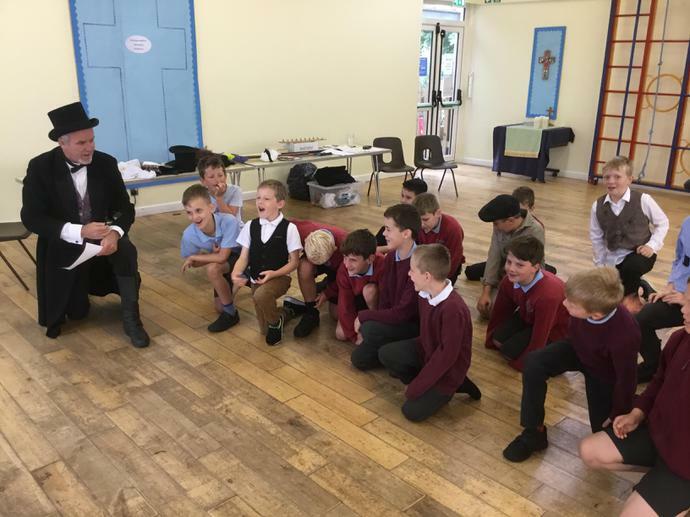 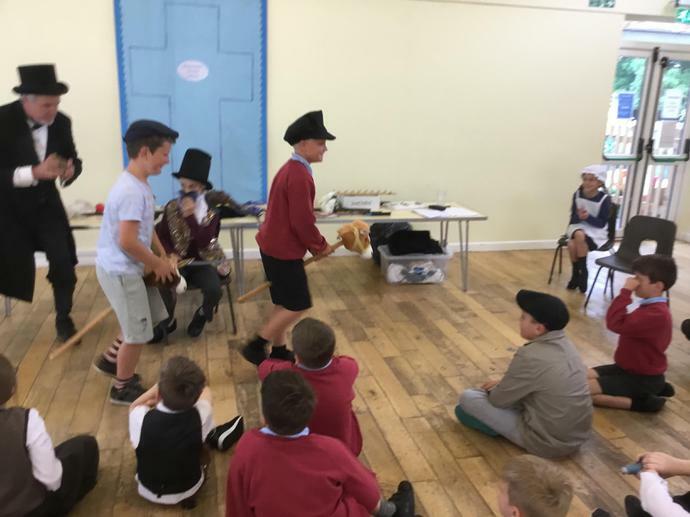 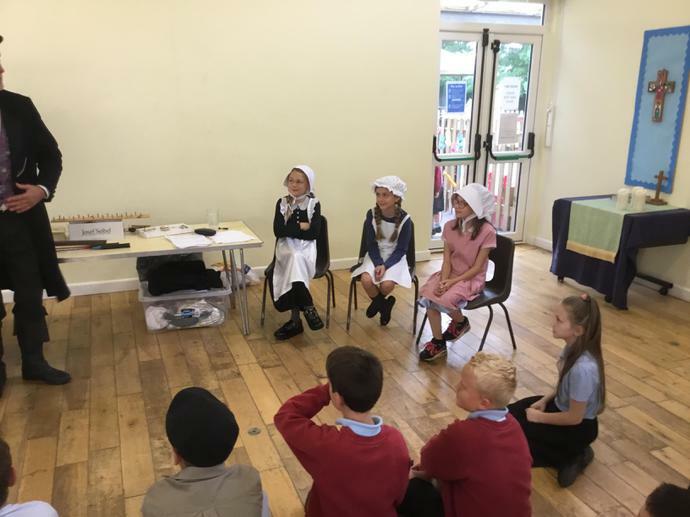 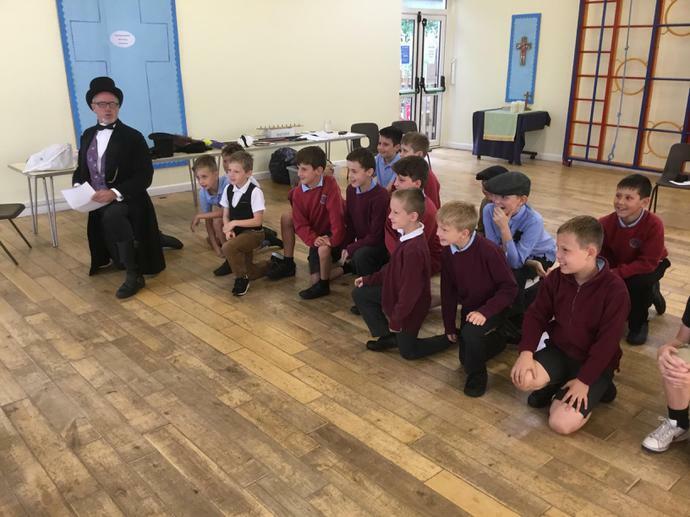 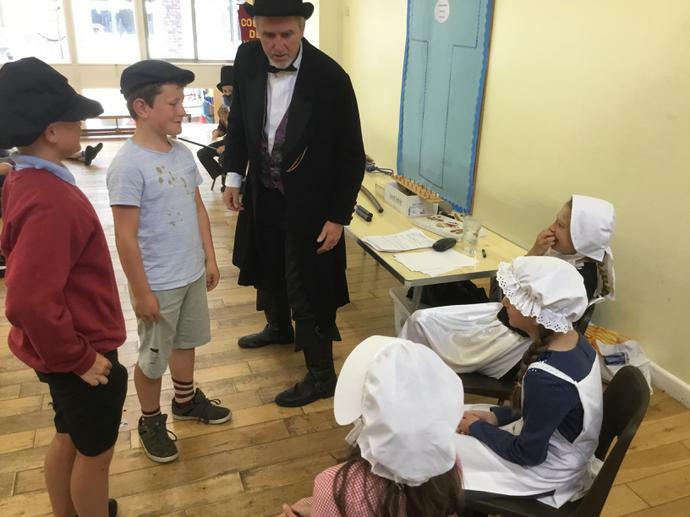 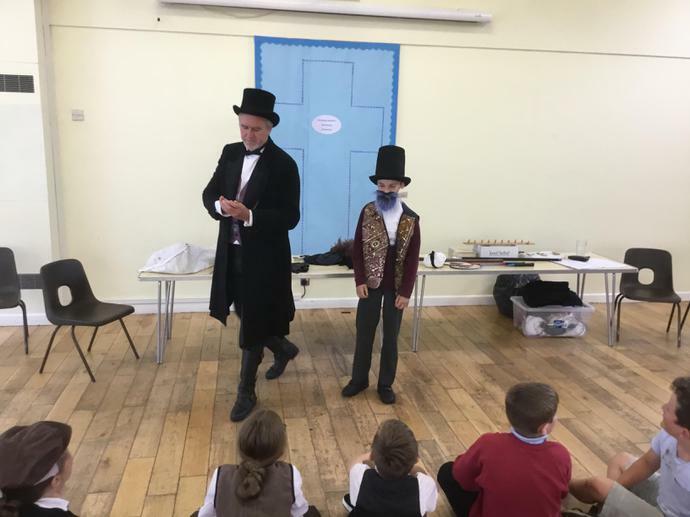 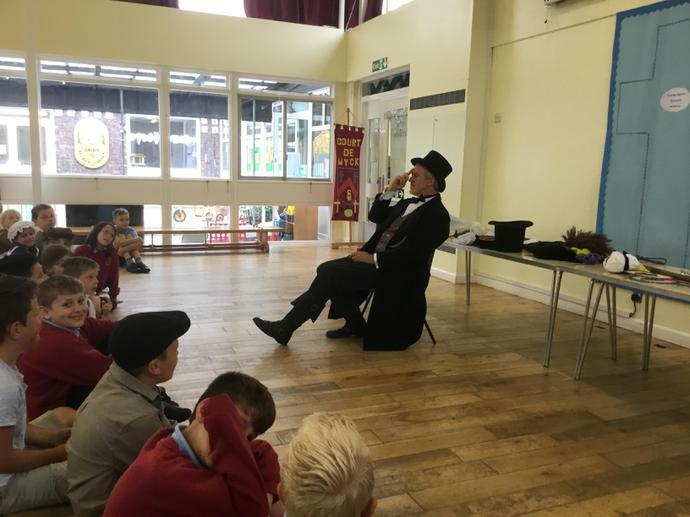 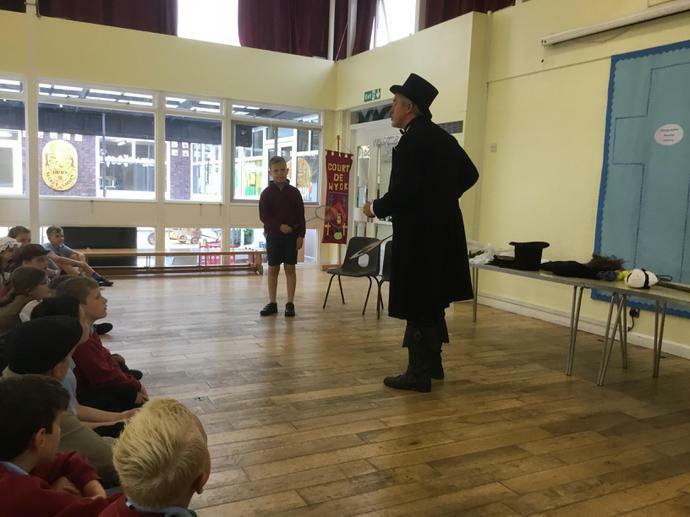 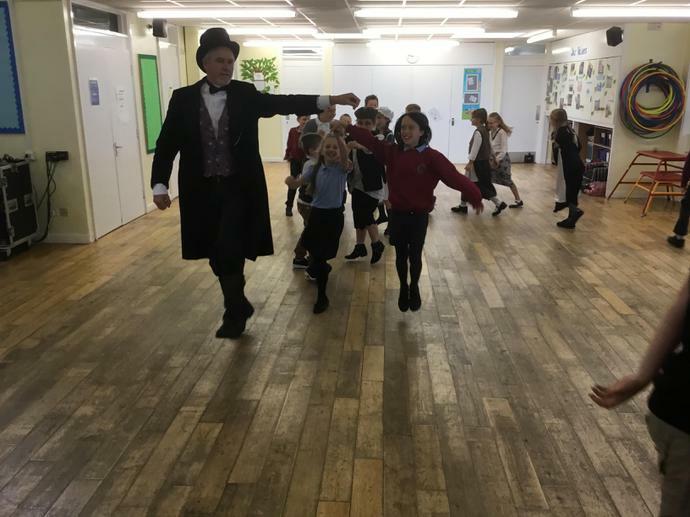 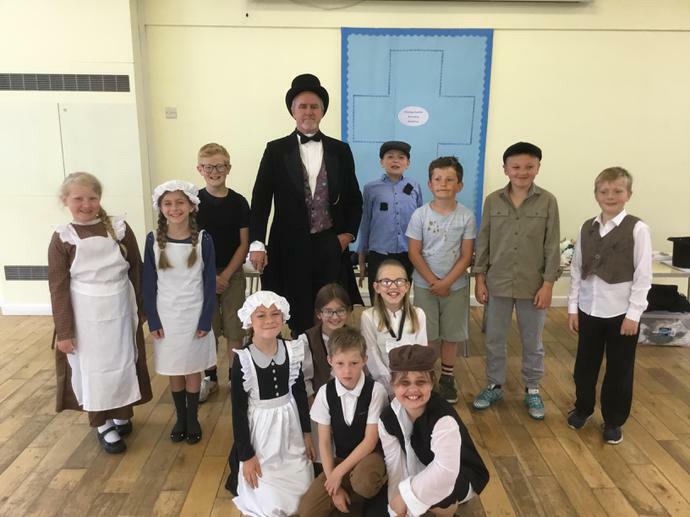 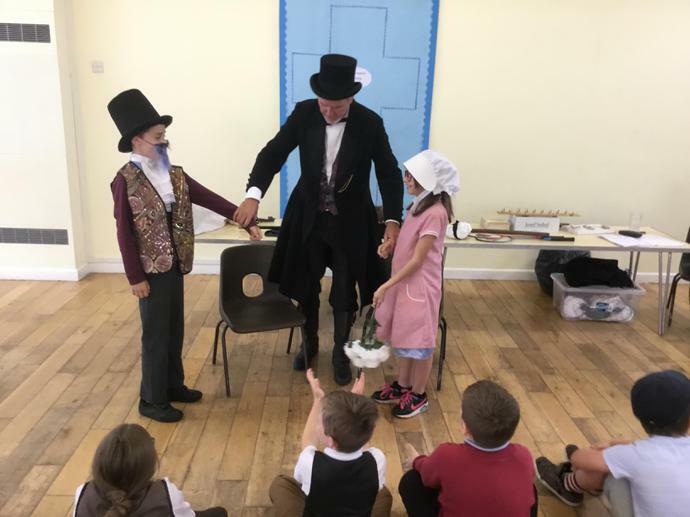 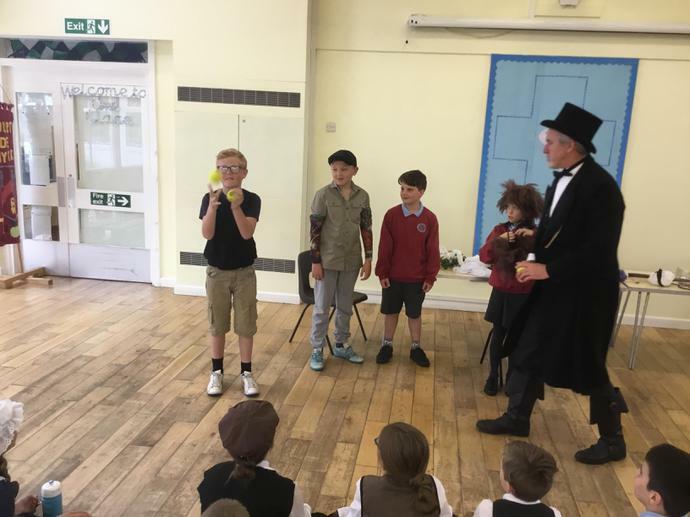 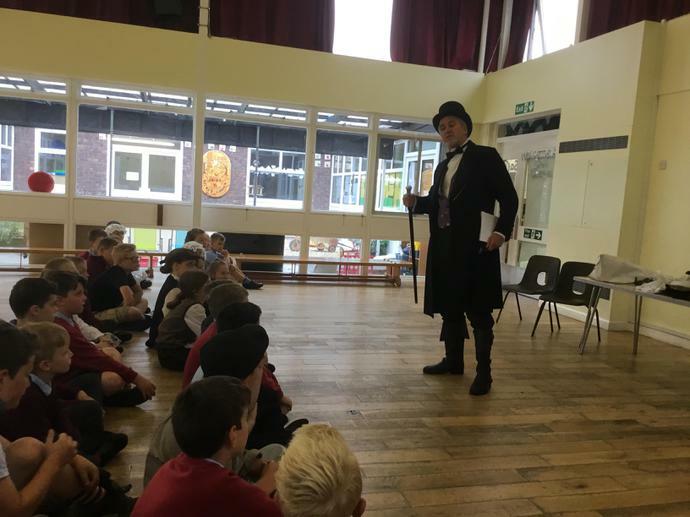 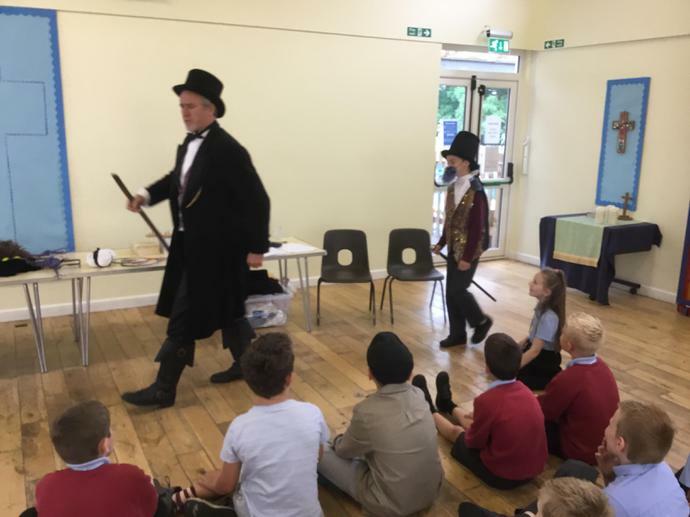 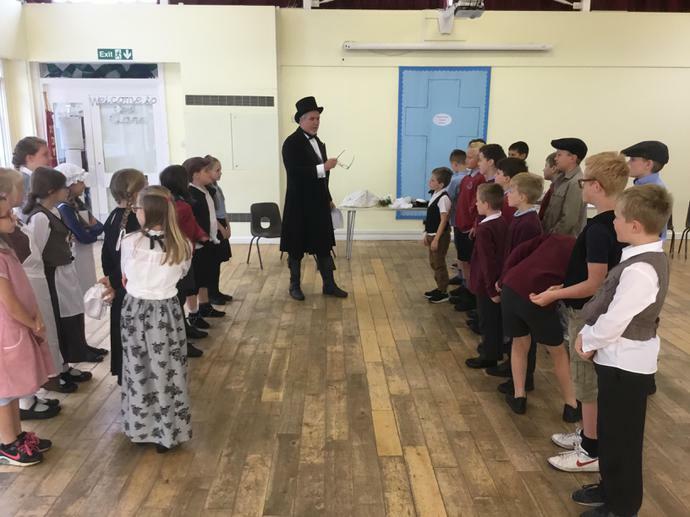 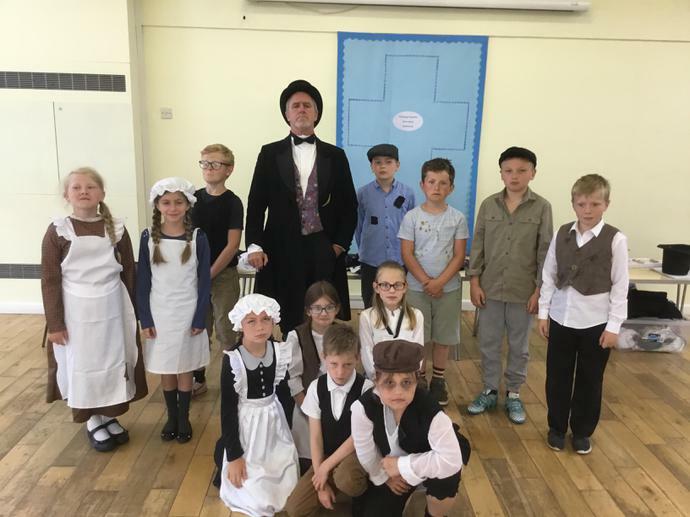 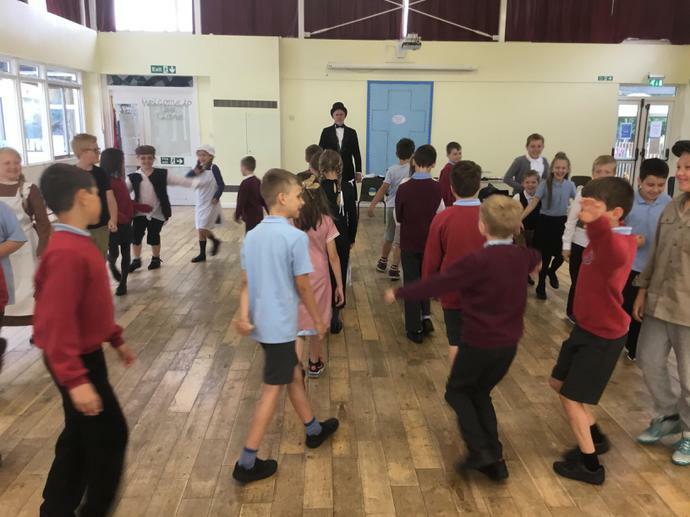 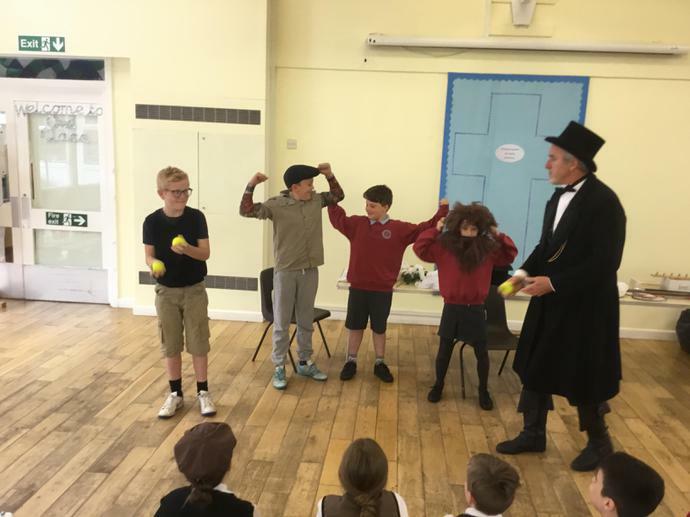 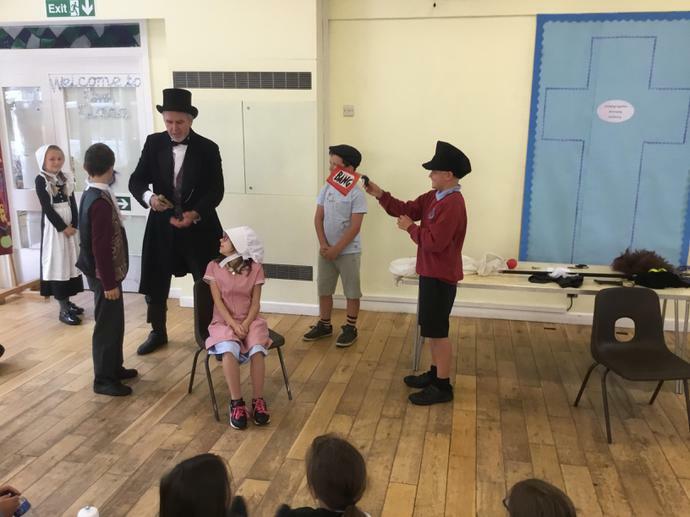 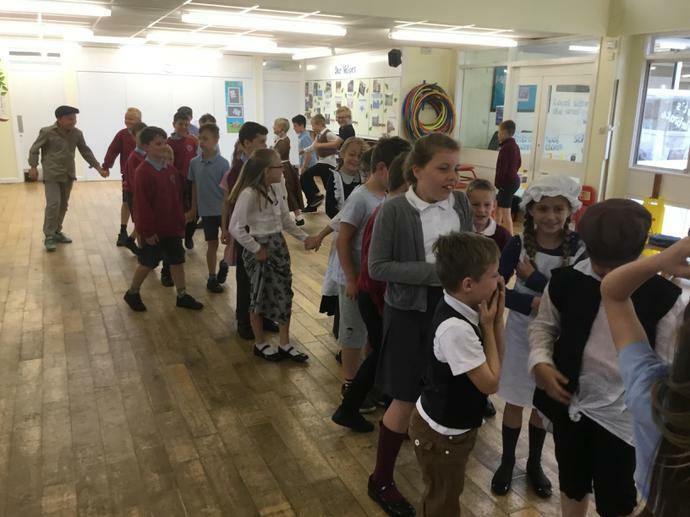 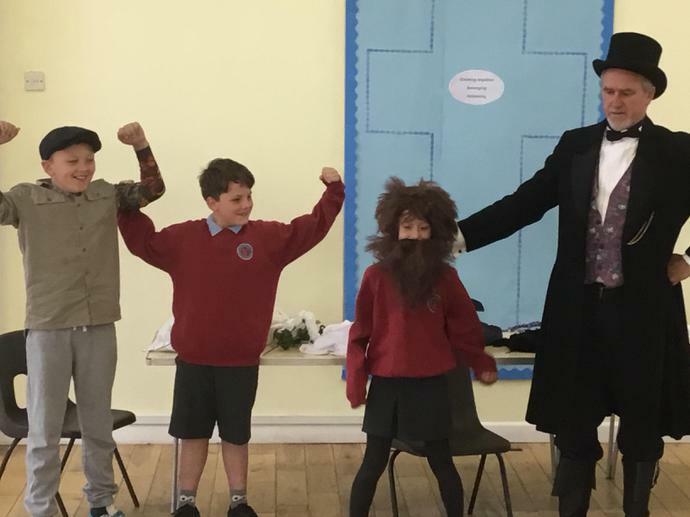 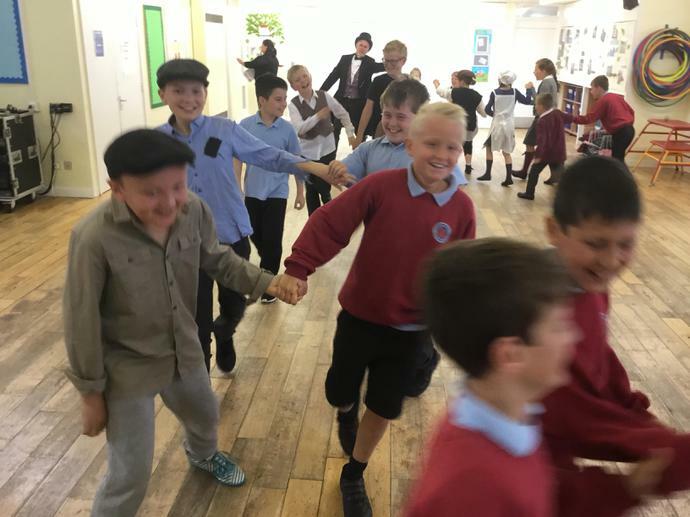 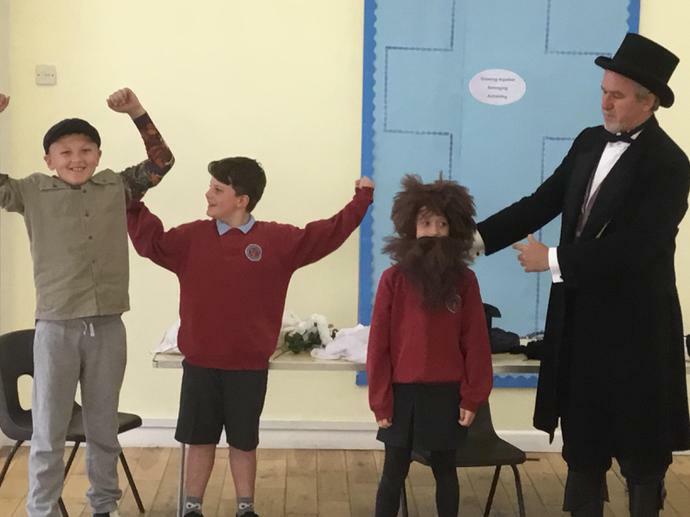 This term we are learning all about the Victorians, focusing in particular on Victorian entertainment and leisure activities. 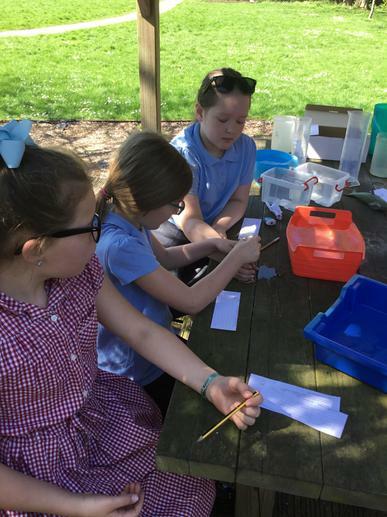 We will also be learning about rivers and focusing on the River Thames in London and the River Seine in Paris. 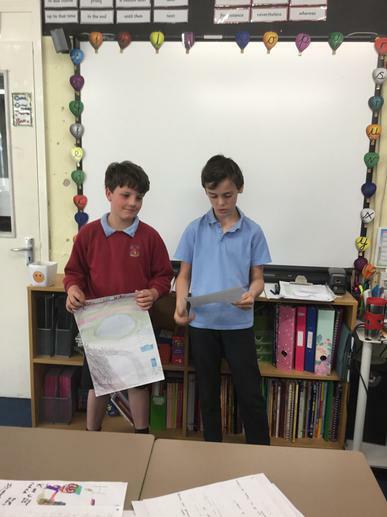 We will be comparing the two rivers and looking at how they helped develop the cities they flow through. 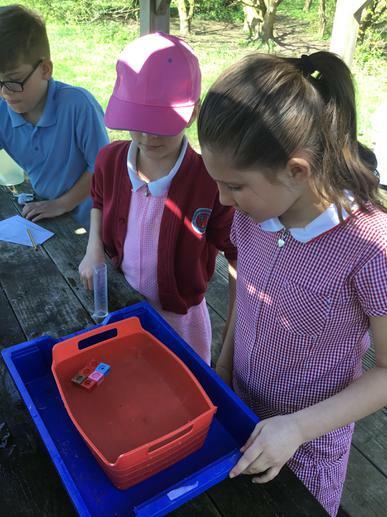 This term in English we will be looking at Persuasion texts, exploring different examples of these texts and writing our own to persuade people to stop polluting rivers. 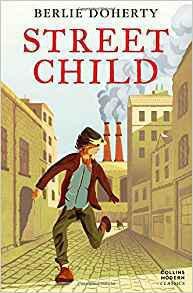 Our class text for this term will be Street Child by Berlie Doherty.